It's freebie week and I was recently thinking about book to movie adaptions after seeing a preview for The Martian. I still need to read that book. I am SO the person who tends to be adamant about reading the book before I watch the adaption though I think with the increasing number of adaptations I've gotten a LITTLE more lax. But I remember back in the day when Will and I were first dating (circa like 2006/2007) we'd walk around Blockbuster (RIP) and pick out movies to watch. He used to get SO frustrated because I'd always be like "Oh, we can't watch that because I still need to read the book" (one of 10 things my husband is sick of this bookworm saying). I feel ashamed to admit but a lot of movies we've been wanting to watch for years? I still have not read the book. I would say I give in maybe 5% of the time meaning lots of movies we so want to watch have not been watched. I AM THE ABSOLUTE WORST. (TV shows I'm way more lax about if it's book to tv show). Anyways, here are 10 book to movie adaptations I still need to watch -- some of these I totally did read the book for and some I haven't. 1. Extremely Loud and Incredibly Close -- I read this book back in 2008 and it became an all time favorite. So years later I hear the movie is going to be made and I was excited yet SUPER terrified. I'd say I was more terrified than anything because I STILL have not watched it. 2. Pride & Prejudice -- I've read this one a long time ago but have still yet to see a single adaptation. TELL ME YOUR FAVORITE ONE. 3. Harry Potter & The Sorcerer's Stone: Sooo shhh but I've only read the first Harry Potter book (I DO plan to continue) but have yet to watch the first movie. My plan was to read the book then watch the corresponding movie but just hasn't happened. Perhaps it will be great for this Fall! 4. Coraline: I keep meaning to read this book but haven't and thus have not watched the movie but want to so badly! 5. Insurgent: Okay it hasn't been out long at all but considering how much I enjoyed Divergent (and staring at Theo James) I'm kind of shocked I haven't. I read Divergent and then saw the movie but have yet to read Insurgent so I didn't go out to see it right away. I'm still trying to decide if I'll read it based on lots of mixed opinions on the rest of the series so I've just stalled with watching it. 6. The Girl With The Dragon Tattoo: I really enjoyed this book but haven't seen either the Swedish or American adaptation still. 7. The Maze Runner: My sister begged me to see this with her and I was like OKAY BUT LET ME READ THE BOOK FIRST....and I never did. 8. It's Kind of A Funny Story: I keep planning on reading the book but never did so thus have not seen this. 9. Anna Karenina: I kept telling myself I would read this finally before the movie but never happened. 10. The Help: I have had this book on my shelf for forever and thus have not seen the movie still. WOMP WOMP. 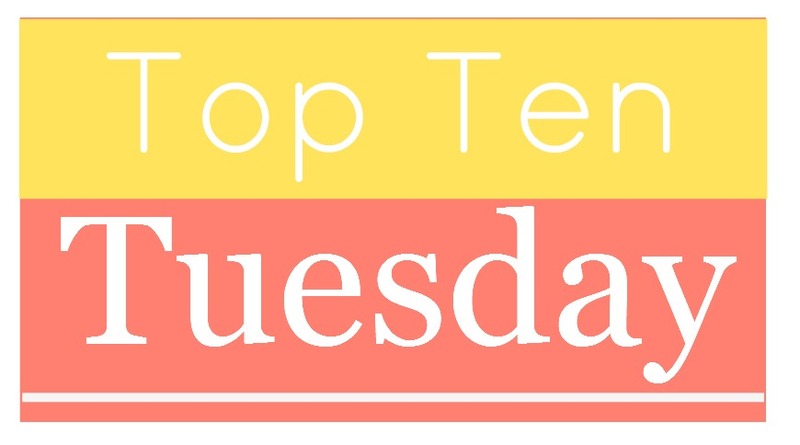 BONUS #11 (seriously this list could have been like 30) -- Eat, Pray, Love -- I wanted to see this so bad after loving the book when it came out but STILL HAVEN'T. So tell me in the comments...are any of these adaptations worth watching??? Are you a person who HAS to read the book before or do you not really have a preference? With Harry Potter, I recommend reading all the books and then watching all the movies. I think they did a decent job adapting each of them (except the sixth book -- I still have ANGER over what they did to my favorite book), and it's easier IMO to follow the internal logic of Book World and then separately follow the internal logic of Movie World through the eight movies. Ooh I think I just may take your advice on this!! I totally understand your anger over the sixth book - it's my favorite too and it's like they decided they weren't going to try very hard for that one. :P Glad I'm not the only one with this opinion. I haven't seen the BBC version (and I must, I know), but I loved the 2005 (Keira Knightly) version!! What I loved about it was the Feel of it. Besides being lovely (in terms of setting), it just felt right. It's subjective, I know. I've heard people say they didn't think Mr. darcy was well represented, that he wasn't strong enough... Be it all felt perfect to me! I'm so happy to hear you say this because I loved the book!! You and I aren't so different in this area. I much prefer to read the book first and there are many movies on my to watch list I won't watch because I haven't yet read the book. I did end up seeing The Maze Runner movie and still haven't read the book. I am kind of regretting that now because I don't feel the pull to read the book like I had before. I still haven't read The Help. Or seen the movie. I loved the book Anna Karenina and can't bring myself to watch the movie, which is very unlike me. I love all the Pride and Prejudice adaptions, but the Collin Firth one is my favorite. They did a very good job with The Girl with the Dragon Tattoo. The book in itself was quite stunning (I didn't exactly find it terrific) and the movie captured its feel very well. And I agree with Jessica on Harry Potter. You gotta read them inside out first, and then watch the movies, which get better from the third instalment onwards. I'd say definitely watch the Swedish "Girl With the Dragon Tattoo" movie! The U.S. version with Daniel Craig was good, but it was definitely... Hollywood-ized? Plus you can watch all three Swedish movies, but only the first book has been made into a movie here so far. As far as Harry Potter, I would maybe give yourself a little distance between the books and the movies. I started off re-reading the books before seeing the movies at the theater, and then after "Goblet of Fire" it finally occurred to me that I was spending whole movie nit-picking every single difference and unnecessary change. In fact, now I try never to read a book too close to seeing the movie -- it helps me think of movies as a separate entities that don't have to be exactly the same as my beloved books! For The Martian, I suggest listening to the audiobook as opposed to reading it. I don't suggest that easily, but he does so much math, that you start to go cross-eyed. But the person who narrates the audiobook does a great job and is really entertaining to listen to. I think the adaptation of Coraline is actually better than the book, but the book's still worth reading. :) A lot of people really like the 2005 adaptation of Pride and Prejudice, but personally I think the BBC adaptation from the '90s is better, although my favourite adaptation would have to be The Lizzie Bennet Diaries. I think most P&P fans love the BBC mini-series, but I have yet to see it. I love the 2005 movie and I can't really imagine it being much better, so I'm a little scared of the possibility of watching the mini-series and not loving it, even though I love all the other BBC Jane Austen adaptations I've seen (ESPECIALLY EMMA). For the Girl With the Dragon Tatoo, definitely the Swedish shows. Didn't care for the American movie at all, but I had already watched the entire Swedish series. Twice! My favorite Pride and Prejudice adaptation is the Colin Firth version-highly recommend that one! The Help is a really good movie. Granted I liked the book better (as I do 99.5% of the time), but still, it was really good. SO MANY FEELS. I thought The Help made a good movie AND book! I saw the movie first, and could see the differences, but I think they both hold their own. The BBC production is the only one worth watching! It stands the test of time and it's lovely! Pride & Prejudice with Keira Knightly and Matthew Macfadyen, you have to! ^^ also my I recommend North & South with Richard Armitage, if you haven't seen it yet. I haven't seen #8 or #9 but the rest are worth watching except The Maze Runner. Both the book and movie are kind of meh. My favorite Pride and Prejudice is the Keira Knightley version. It's just shorter and I love the music. I'm terrible when it comes to watching movie adaptations! I haven't seen any of the Divergent movies or the most recent Hunger Games movie. In general, I'm the worst when it comes to seeing movie adaptations. It's embarrassing. OMG OMG You must see the Pride & Prejudice adaptation with Colin Firth!!!!! I can't believe you haven't yet!!!!!! AHH! you must watch ALL the P&P adaptations! I love them all. I just watched the Maze Runner a couple of weeks ago and really loved it. I might even like it more than the book. I've yet to watch Insurgent though I did like Allegiant. As for Harry Potter...I preferred the books and have yet to see the last 2 films (though they were all well done). let us know which P&P you go with first!! I've seen the movies of # 1, 3, 7, 10, 11 but only read the comparable books of # 3, 10, 11. I recommend them all truthfully. I'm not too critical of book to film adaptations, if I can view them as a separate entity and not squabble on the details changed. Enjoy! After watching the Swedish version of The Girl with the Dragon Tattoo I really really want to read the books. The movies were fabulous. Okay so I'm horrible, I do try to read the books first but sometimes I don't have an interest in the book but the movie looks OK of I just didn't know it was a book. I've seen most of the movies, all but #8. I've read HP, Maze Runner series, and Insurgent. That's it there lol. I do think the movies are pretty awesome I've also seen both the Swedish and American versions of Girl with the Dragon Tattoo. I enjoyed them both the Swedish one is more graphic and there is more of everything it felt like but you also have to read the movie so if you're not able to read subtitles quickly I'd go with the American. Maze Runner is definitely a movie adaptation worth checking out. You'd actually be okay seeing the movie without reading the books. The first Pride and Prejudice adaptation I saw was the 2005 one with Keira Knightley and Matthew Macfadyen (who is a perfect Mr Darcy, I died), but I also really loved the BBC version. Basically I'm saying just watch any version of P&P and you'll be happy. And also, there's another fun miniseries, Lost in Austen, which has a modern girl fall into the world of P&P and I just loved that. I really enjoyed The Maze Runner but I haven't read the book either! I go back and forth on whether I want to read the book first or not. It was kind of exciting going it without knowing the plot for once! Harry Potter, Coraline and The Maze Runner are must sees! Eat Pray Love. I saw it first in the theatre then read the book and honestly loved both even if they weren't quite the same. I have read one Harry Potter book seen one one movie. And I've decided no more of the series. It's just not for me. I'm not enticed by tales of wizards even if Ms. Rowling is my writer-inspiration. I love the Pride and Prejudice with Colin Firth! I watched it for before I read the book. And I may never had read the book if the movie hadn't been so wonderful. I definitely try to do this before a movie comes out but there are some that I just don't care about so I don't read the book. Or I watch the movie and it makes me really want to read the book! Ditto on P&P with Colin Firth. It is the *true* version. I don't really have a preference, but I tend to enjoy the movie more if I haven't read the book first. The original 5 1/2 hour Pride and Prejudice is the most true to the book. It's worth a watch at least once. If you don't have that much time, the Keira Knightley version is okay. The scenery and music are pretty, but the dialog is terrible. I also have not seen Insurgent. I kind of lost interest, and I am not eager to see it. I probably will eventually, but I don't really care at this point. I watched the Swedish version of The Girl with the Dragon Tattoo long before the American version was released. I've never seen the American version, but the original was really really good. Watch the Maze Runner...don't waste your time reading the books! They are very slow! Pride and Prejudice—You can't go wrong with the A&E mini-series staring Jennifer Ehle and Colin Firth. Coraline—I didn't know this had been made into a movie. I'll have to look into it. The Girl with the Dragon Tatoo--I prefer the Swedish version. Lisbet has much more 'bite' than in the watered down US version, and that's what the series is all about—Lisbet's bite. I definitely recommend the 1995 BBC miniseries because as far as I am concerned, it is a flawless adaptation. For something to watch in bite-sized chunks, Lizzie Bennet Diaries is a great modern adaptation to check out as well (although if you want something far more campy/loose adaptation, there's no harm in checking out the 1940s version one with Laurence Olivier). And is it terrible, that I am semi-comforted in knowing that I'm not the only person who still hasn't seen the Maze Runner films? Great list. I also refuse to watch movies in cases when I plan to read the book first. Many of yours are on my list as well. As for P&P, my all-time favorite adaptation was a BBC production years ago with Colin Firth. However, the latest one with Matthew MacFayden and Keira Knightley is also a favorite. In fact, I watch it every time it comes on cable. I only JUST got round to watching The Maze Runner a few days ago, even though I wanted to see it when it first came out! The Help is amazing, I loved the book and movie. Hi! I really loved Extremely Loud and Incredibly Close. It was one of those movies I thought about for days afterward. 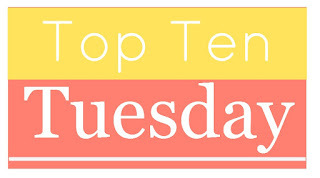 Also, I love this Top Ten Tuesday blog hop. I'm so glad I found it! STATION ELEVEN is amazing!!!!! I hope you are able to get to it soon. It is just beautifully written and mini stories with characters that all connect. Great list, ladies!